New York hands out tax breaks and other benefits to companies that have run afoul of federal regulators. Craig Bernier had only been bagging grain at Harbor Point Minerals in Utica for a few months when the company started sending him inside its silos to “walk down” the grain to help it flow to the bottom. Bernier, 24, was claustrophobic and hated being in the dark, closed structure, but Harbor Point told him he would have to go back in, his father said. On May 11, 2011, the animal feed gave way under Craig’s feet, swallowing him in the grain and suffocating him. A subsequent investigation by the Occupational Safety and Health Administration cited Harbor Point for 21 violations, including four for knowingly failing to comply with the law or acting with indifference to worker safety. Regulators imposed $155,200 in fines. The Berniers sued Harbor Point in a New York state court in 2012. The company paid a $150,000 settlement, according to the family attorney. Bernier’s death did not disrupt the stream of state subsidies to Harbor Point. The year he died, the company received $110,028 in tax breaks thanks to its ongoing participation in the state’s Empire Zones program, which at the time was New York’s largest subsidy program, intended to promote investment and job creation in economically distressed areas. 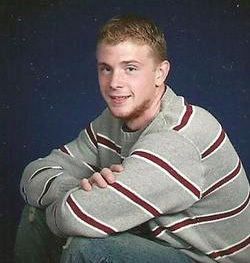 Harbor Point received at least an additional $71,593 through the program in the two years following Bernier’s death. Harbor Point is one of 74 companies in just one sector — involving the farming, manufacturing and distribution of food — that received more than $100 million in state and local subsidies over the past decade despite a recent history of regulatory violations, according to an analysis of data obtained through a joint reporting project by Investigative Post, ProPublica and the Columbia University Graduate School of Journalism. Such subsidies are a linchpin of New York’s strategy to revive the sluggish upstate economy. New York state and local economic development agencies dished out cash grants, tax breaks, discounted power and other subsidies worth $8.6 billion statewide last fiscal year. That figure has grown under Gov. Andrew Cuomo despite a scandal involving one of the state’s biggest economic development programs — and even though some recipients of the largesse have violated federal safety, environmental, labor or consumer protection rules. Even with the significant sums of money involved, state economic development authorities and local industrial development agencies do not comprehensively vet companies applying for assistance. By contrast, the economic development agencies of neighboring New Jersey and Connecticut conduct more thorough inquiries. Also, New York law does not prohibit the awarding of subsidies to firms with a history of regulatory violations or provide a mechanism to suspend or claw back subsidies if companies are cited by regulators once the money has started flowing. Harbor Point Vice President Kevin Crane maintained Bernier’s death was an accident. “The financial burden from the fines made it harder for us to grow,” he said. Companies in other sectors have also garnered subsidies despite running afoul of federal regulators. For example, International Paper’s plant in Ticonderoga was fined $211,000 after a worker died of burns sustained in 2015. The cement company LaFarge North America incurred $647,211 in penalties from the EPA for violations of the Clean Water and Clean Air Acts between 2012 and 2016 in Ravena, near Albany. Both companies were fined while receiving benefits — including discounted power, property tax abatements or the use of lower cost municipal bonds — without interruption. And last March, Gov. Andrew Cuomo announced an award of up to $200,000 to Super Sweep Inc. through the Excelsior program, only to discover through media reports that the company was spun off from a firm that was barred from state projects. International Paper said in a statement that its “team members remain committed to their own safety and the safety of their coworkers and their community.” A LaFarge North America spokesperson said the company is “committed to full compliance with all environmental regulations.” Super Sweep did not respond to a request for comment. “I don't think taxpayers should be rewarding corporate misbehavior. 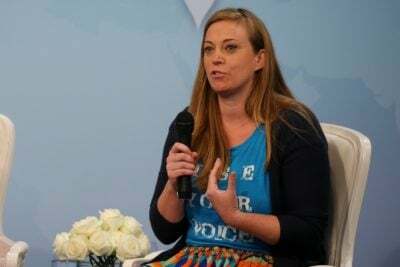 If there is a pattern of wage theft or pollution or discrimination, I think that should disqualify a company,” said Greg LeRoy, executive director of Good Jobs First, a nonprofit that tracks local and state economic subsidies. Our analysis tracked subsidies awarded to food companies from seven major state programs and those administered by locally controlled industrial development agencies. It focused on the food industry because it provides a representative cross section of the types of businesses, from manufacturing to retail, that participate in subsidy programs across the state. It found that, over the past decade, 74 food companies received $108 million in state and local subsidies within three years of being cited for violations of federal health, labor and environmental regulations. Collectively, these companies were fined over $3.1 million by regulators and required to pay $717,853 in back wages. The analysis considered the enforcement records from 2006 to 2016 of the Environmental Protection Agency, the Food and Drug Administration, the Department of Agriculture, the Department of Labor, and the Occupational and Safety Health Administration. Citations by comparable state agencies were unavailable. We’re tracking the state’s growing portfolio of business subsidies. See the project. During this period, food companies were certified for $80.3 million in assistance through the Empire Zones program, which is being phased out amid criticism of its ineffectiveness. Its successor, the Excelsior program, has awarded $55.1 million in corporate tax credits to food companies, contingent on them meeting job goals or other objectives. Locally controlled industrial development agencies provided at least $22 million in tax abatements to food companies, and discount power programs managed by the New York Power Authority have provided discounted electricity with a minimum estimated value of $7.6 million. Some well-known firms receiving large subsidies — including Wegmans Food Markets and Chobani, the maker of Greek yogurt — rank among those companies most heavily fined by federal regulators, the analysis found. Development agencies “should look at compliance with various state and federal laws, and if they’re not good citizens, that should be taken into account,” said Brian McMahon, executive director of the New York State Economic Development Council, a lobbying group for local economic development agencies and related service providers. But a different standard should be applied to companies which incur an occasional violation than to those with a “pattern of major, willful violations,” he said. A review of state law and the practices of state and local economic development agencies found there’s nothing akin to a complete background check on subsidy recipients to determine whether they have a history of violating federal and state laws intended to protect workers, consumers and the environment. “Not having a robust vetting system is an invitation for abusing taxpayers funds,” said John Kaehny, executive director of Reinvent Albany, a good government group active in subsidy reform issues. Unlike in several neighboring states, companies applying for subsidies in New York are not required to disclose regulatory violations or active lawsuits against them. The New York State Consolidated Funding Application for tax breaks doesn’t ask applicants about previous violations or legal actions. The pre-application for discounted NYPA power also fails to ask about violations. IDA applications for tax incentives can vary between localities but even the recommended application from the New York State Economic Development Council does not ask about a company’s regulatory history. By contrast, the New Jersey Economic Development Authority’s incentive application contains 11 background questions related to company violations and legal actions. Since 2010, its compliance measures have flagged approximately 250 applicants for closer examination by a development officer and the state attorney general. Of these, about 10 percent were subjected to a debarment analysis that was reviewed by the authority’s board. 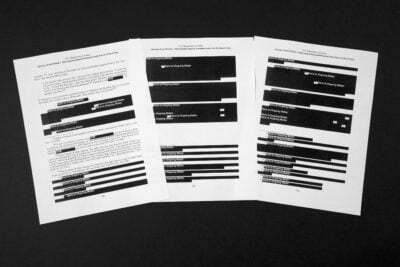 The Connecticut Department of Economic Development’s pre-application, while not as thorough as New Jersey’s, does ask about citations from the EPA and OSHA, as well as any litigation against the applicant. Officials perform additional checks on their own. Laws governing the current major economic development programs in New York only require a company to certify that it is in “substantial compliance” with all environmental, worker protection, and local, state and federal tax laws before tax incentives are awarded. But New York’s laws and regulations governing subsidy programs do not outline how an agency should determine whether a company is in compliance or what “substantial compliance” means in practice. It’s unclear what economic development agencies in New York do to determine the “substantial compliance” spelled out in the law. Jason Conwall, an Empire State Development spokesman, said in an email statement that the state considers a company to be in compliance if it has no outstanding fines levied against it by regulators. Thus, a history of violations would not be held against a company if it had paid its fines. Violations are not considered when companies are admitted to Empire State Development programs, Conwall said, although checks are made if and when they qualify to receive tax credits under the Excelsior program. Practices vary among other economic development agencies, including the New York Power Authority and assorted IDAs. Their research at its most stringent involves checks of online databases maintained by federal regulators and, in some instances, inquiries to selected state agencies. New York’s economic development agencies are not alone in failing to vigorously vet companies with a history of regulatory violations. “It’s not common for economic development agencies to pay attention to these issues. Some do, but it is far from a widespread practice,” said Phil Mattera, research director at Good Jobs First. Hoping to revive upstate New York’s sluggish economy, Governor Andrew Cuomo has poured billions into subsidies for Corning and other businesses. But the resulting job growth has been modest. Read the story. There are, however, examples of agencies in New York that screen companies doing business with the government and hold them accountable for regulatory violations. Kaehny, of Reinvent Albany, questioned why the state doesn’t have a process comparable to the Vendex system used by New York City to vet vendors, including companies awarded subsidies through its economic development agencies. “You have to disclose your ownership, any legal or regulatory violations you’ve had, prior contracts — basically everything about you as a business. The state should have at least as good of a system as New York City’s,” he said. In addition, the state Department of Labor imposes consequences for contractors cited for significant violations of labor law. Firms can be barred from receiving state contracts for up to five years. Subsidy programs have benefitted several well-known companies that have a history of significant regulatory violations. Wegmans Food Markets, founded in Rochester, is considered among the best grocery chains in the nation, and consistently ranks among the best companies to work for in America. The privately held company has gained influence beyond the grocery business, with the governor appointing CEO Danny Wegman as co-chair of the Finger Lakes Regional Economic Development Council. The company operates 46 stores in Western and Central New York and received $4.8 million in subsidies between 2009 and 2014, primarily tax abatements from five IDAs. Only four companies in the food industry statewide received more assistance, based on data obtained for this analysis. 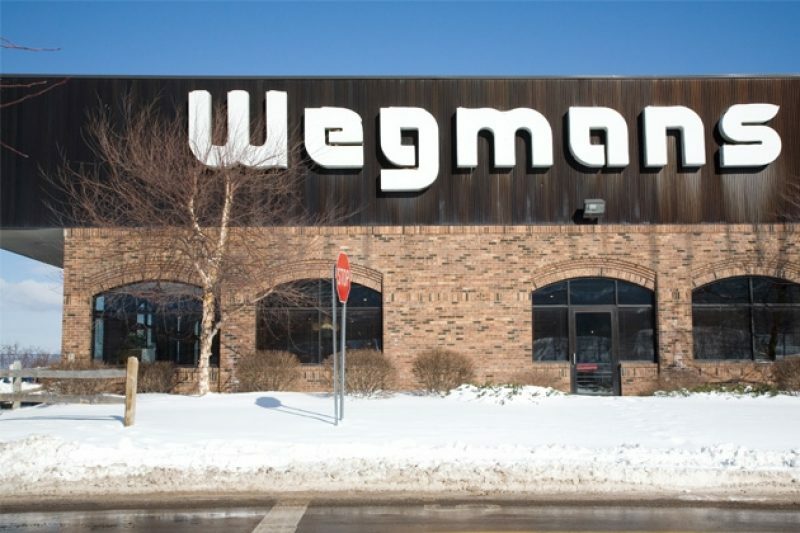 Wegmans received the subsidies even though it had been hit with $561,855 in fines — more than any company in the state’s food industry included in this analysis. The fines, mostly related to OSHA violations, were later reduced to $416,915. OSHA usually reduces fines on appeal based on factors that include the company’s size and efforts to address violations. Most of the fines imposed by OSHA were for safety violations at its corporate bakery and distribution center in Rochester. In 2011, the company was cited for serious and repeated safety violations of its machine maintenance procedures. In March 2015, a worker lost the tip of his finger to a conveyor belt and another suffered a first-degree burn from a steam valve. That December, a woman’s hand and arm were pulled into a conveyor belt and crushed. Wegmans officials declined to comment. The governor thinks highly enough of Chobani Inc. that he made Greek yogurt the official state snack in 2014. A year later, Cuomo included the company’s founder and CEO Hamdi Ulukaya in his entourage that visited Cuba on a trade mission. Only one food company received more in subsidies between 2006 and 2016 than the $17.7 million that went to Chobani, which is headquartered in Chenango County, northeast of Binghamton. Its $269,000 in federal regulatory fines ranked third highest in the industry; the fines were later reduced to $206,900. In 2011, the company was fined $75,000 by the EPA. That year and again in 2012, the company was awarded $11.2 million in benefits through the Empire Zone program and $4.2 million from local IDAs. The company was also fined $194,000 by OSHA in 2012. The Excelsior program later issued $696,915 in tax credits to Chobani in 2012 and 2013. Nature’s Bounty is headquartered in Long Island with operations on four continents and some 13,000 employees. The company manufactures, markets and sells a wide range of health products, including vitamins and dietary supplements. The company was publicly traded until it was bought in 2010 by the Carlyle Group, a private equity firm, for $4 billion. Nature’s Bounty is no stranger to federal regulators — or state economic development officials. In 2004, the Department of Labor cited Nature’s Bounty for 702 violations of the Fair Labor Standards Act and ordered it to pay $122,380 in back wages for overtime pay. The company was not fined. OSHA imposed fines on Nature’s Bounty of $144,025, which were later reduced to $81,675, mostly for machine operation hazards between 2007 and 2015. Throughout this period, the state power authority and local IDAs awarded the company $3.5 million in tax breaks and discounted electricity. In October of 2010, for example, OSHA imposed $111,000 in fines for violations that exposed workers to dangers when servicing machinery. Two months later, the Federal Trade Commission ordered the company and its subsidiaries to repay $2.1 million to customers for false claims about its Disney-themed children’s vitamins. Nevertheless, the next year, the Town of Babylon’s IDA approved a package of sales and property tax abatements worth $264,209 over the first four years of the agreement. More recently, in May of 2015, an employee at Nature’s Bounty was hospitalized for severe lacerations sustained to her right hand while cleaning machinery. Nature’s Bounty officials declined to comment. Awarding subsidies after regulators cite a company for violations leaves the state open to criticism for supporting questionable practices. Take, for example, Zemco Industries, owned by Tyson Foods. In August of 2010, Tyson recalled 380,000 pounds of deli meat produced at its plant in Buffalo. 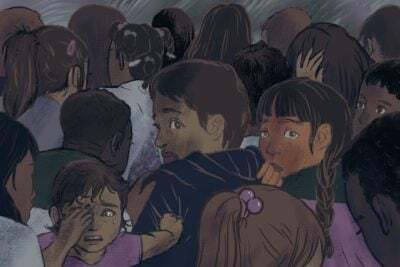 Within two months, the U.S. Department of Agriculture suspended the plant’s operation, putting 480 people out of work for 10 days. That year, Tyson received $115,712 in tax exemptions from the Erie County IDA. Food recalls and OSHA violations continued after the processing plant resumed operations. In 2013, OSHA fined the company $121,720 after determining Tyson was exposing workers to safety hazards. The fines were later reduced. The following year, Tyson recalled another 106,800 pounds of meat due to misbranding and an undeclared allergen. From 2010 to 2014, the company received over $409,534 in tax abatements from the Erie County IDA and 4,500 kilowatts of discounted electricity of an undetermined value from the state power authority. Tyson closed the plant in July 2014, eliminating 300 jobs. “I’m sure Tyson didn’t want to have a listeria breakout, that was probably the last thing that they wanted to have happen,” said David Friedfel, director of state studies for the Citizens Budget Commission. It’s been nearly six years since Craig Bernier died on the job at Harbor Point Minerals, a privately owned company that makes and sells animal feed. Investigators concluded Bernier was not given adequate training or required safety equipment and the grain elevator was left running while he was inside so seed could continue to flow out the bottom. The OSHA report on the incident said there was reason to believe company officials were aware of the dangers. After making changes to prevent future accidents, the company’s penalty was reduced to $124,000. Crane said state economic development officials did not contact him following the accident or the OSHA fines, both of which were reported by local media. Instead, the subsidies kept coming. Berniers’ parents said businesses that receive incentives should be held accountable. “As for them getting the money, I don’t believe they should’ve. Why should they get a slap on their hands then get something good behind it?” asked Daniel Bernier. Correction, March 28, 2017:: This article previously said that Harbor Point Minerals paid a $79,000 settlement. The actual figure was $150,000. Sean Campbell is a student at the Columbia University Graduate School of Journalism with a specialization in data. His Twitter address is @Sean_Kev. Investigative Post and The Times Union of Albany are co-publishing the New York Subsidies series in its entirety. You can read other articles at investigativepost.org and timesunion.com. 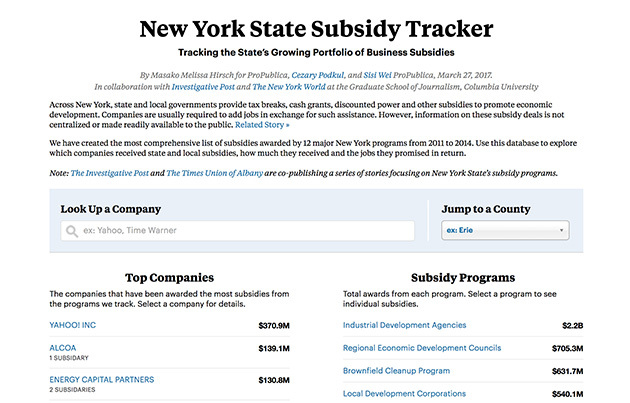 If you are interested in viewing the raw program data for our New York State Subsidy Tracker app, please visit the ProPublica Data Store.